Branched chain amino acids BCAAs are the definition of muscle protection against catabolism and degradation of muscle proteins and they are the amino acids that are related in muscle protein synthesis more than anything else. 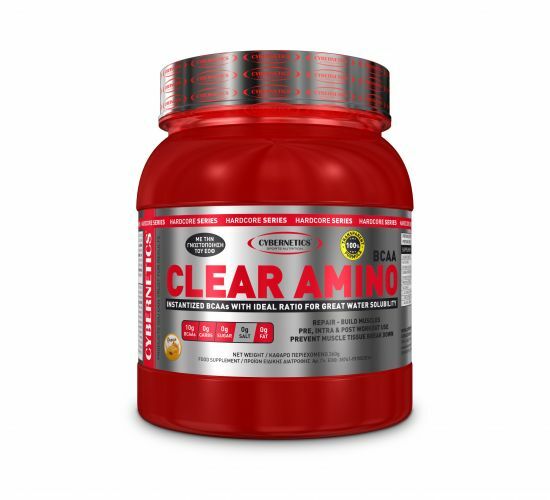 CLEAR AMINO is a supplement that sports an INSTANTIZED indication which ensures maximum solubility and absorbability, protecting athletes from muscle catabolism that occurs during training and causes drastic reduction inathletic performance. The presence of BCAAs is also very important post-workout in order to activate muscle protein synthesis and recuperate and rebuilt muscle fibers that’ve been decomposed. 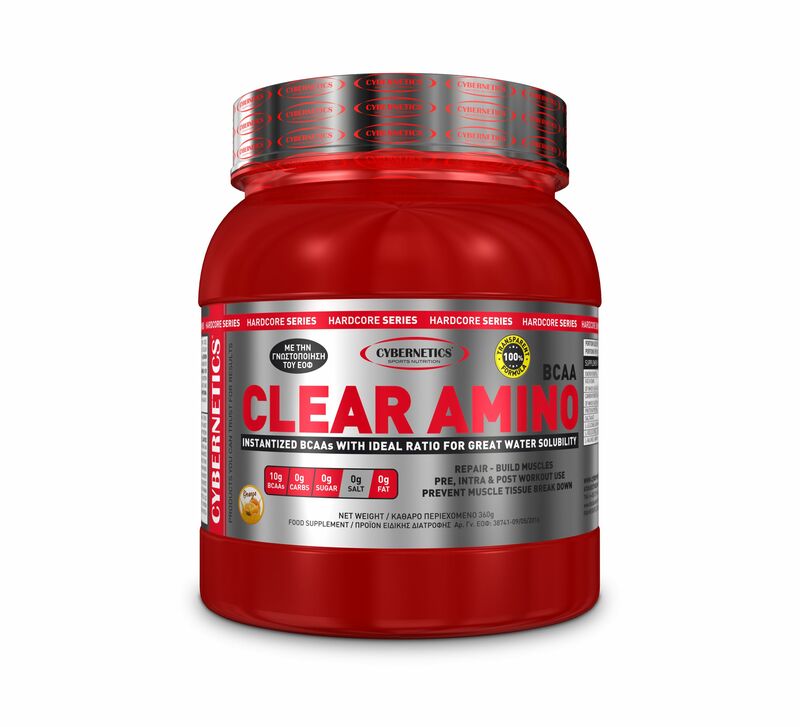 If you want to minimize muscle degradation and the reduction of athletic performance caused,you only need to use the best quality branched chain amino acids: Cybernetics’ CLEAR AMINO INSTANTIZED BCAAs. On training days take 1 serving 30 to 60 minutes pre-workout, 1 serving immediately post-workout and 1 serving before bed. On resting days, take 1 serving in the morning, 1 serving before lunch and 1 serving before bed. Take the serving with a full glass of water. For optimal results its is recommended to take this product on a daily basis for 6 weeks. This product is intended as a dietary supplement and not as a whole food of an exclusive diet or for bodyweight control.